EACA Board to Meet at EDPA ACCESS The EACA Board of Directors will be holding its annual meeting at EDPA ACCESS on Thursday, November 29 @2pm. If there is any agenda item that EACA members would like to have the Board consider please send it to JIm Wurm ([email protected]) by EOB on November 26. EACA Invited to Attend First Fuzion Summit Jim Wurm, Executive Director of the EACA, recently attended the first Fuzion Summit hosted by Freeman. Fuzion by Freeman™ is the industry’s first open digital event technology platform, which will create a seamless experience for event organizers and exhibitors by connecting data across all points of the event ecosystem. Fuzion by Freeman™ acts as a foundation between digital event solutions — a common language that allows them talk to each other through APIs. EACA was included in these discussions as a by-product of our EAC registration technology. Exhibitors that are designating their EACs for a client show will be able to access the EACA site from other integrated technologies and provide a seamless experience in connection with other services they intend to order in preparation for the show. For more information about Fuzion by Freeman™ go to www.fuzion.freeman.com. RSMGC 2018. The RSMGC Board of Directors, the EACA and the EDPA Foundation held its 24th annual Randy Smith Memorial Golf Classic in Atlanta at Chateau Elan on October 5. 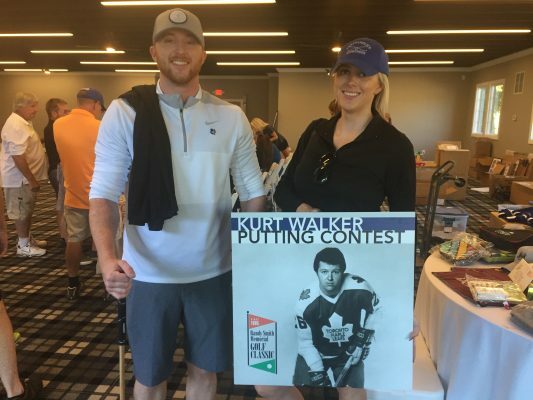 The trade show industry’s largest charitable event honored and supported 15 more industry professionals and families in need with the support of some 200 golfers and more than 100 sponsors. Taking place on a particularly warm fall day in Atlanta industry professionals from across North America came together at this reunion of fun, laughter, joy and tears to once again raise money for their fellow industry colleagues in need. And, while the numbers of recipients tends to be on the rise so does the generosity of our sponsors, participants and volunteers. This fact is most evident at the evening banquet which concludes the event as all are privileged to hear from designated recipient families, including Cole and Zoe Walker, the children of recently deceased, Kurt Walker of Momentum Management (pictured here). 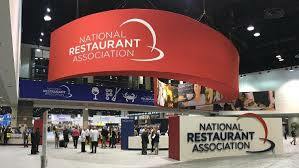 NRA Sells Restaurant Show to Winsight <TSNN> The National Restaurant Association and Winsight, an information services company in the foodservice industry that publishes “Restaurant Business”, have announced the formation of an equity partnership through which the National Restaurant Association will become an equity partner of Winsight, and Winsight will assume operational ownership and execution of the annual National Restaurant Association Restaurant, Hotel-Motel Show. Smith Bucklin Acquires 360 Live Media. <TSNN> SmithBucklin, an association management and services company, has acquired 360 Live Media, an association-focused, live-event experience design agency with full-service marketing capabilities. 360 Live Media has redesigned dozens of association meetings, and has also created innovative, first-to-market events.